The All Progressives Congress (APC) South-East zone has expressed outrage over the controversy trailing the transfer of the fiery Enugu Catholic priest, and Director of the Adoration Ministry, Rev. Fr. Ejike Mbaka. The party said that there was more to it than the routine transfer of priests. In a statement signed by the APC South-East caucus spokesman, Mr. Osita Okechukwu he said “our people need more liberation clergy, especially ones endowed with healing powers like Fr Ejike Mbaka. The liberation clergy were instrumental in returning Latin American countries back to democracy in the 70s and 80s. They pulled down Pinochet in Chile and toppled dictators across the globe. We should harvest and culture them instead of hounding them”. the transfer, the party said it was wrong to punish the fearless priest for his prophecies which had proved to be from God. 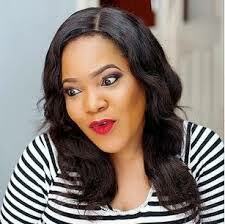 The party noted that, “whereas we accept that the transfer of priests is a routine exercise of the great Catholic Church, however, we do not wholly accept a situation where the church allows external forces to influence transfer as the Mbaka’s case suggests. Otherwise, future liberation clergy who speak truth to power will be hamstrung to the detriment of the society. Okechukwu added that “as a party, we have watched with concern and trepidation the criticism, the attack, assault and unpleasant comments hurled against Fr. Mbaka since he providentially prophesied that President Buhari would win the 2015 elections. Even the church did not spare him; he was called unprintable names, yet his prophecy came true. We are happy that Fr. Mbaka was vindicated. “We repeat that we are in solidarity with Fr Mbaka and our major concern is the security of Fr Mbaka and the suffering of his flocks mostly the poor who need his healing powers. We had thought that His Lordship Bishop Calistus Onaga could have retained him at the Adoration Ground, as the Bishop Emeritus Gbuji did because of security of his life and easy access by his flocks”, the South-East APC maintained. 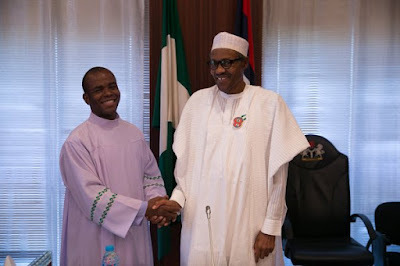 It could be recalled that Fr Mbaka had in a valedictory speech at the weekend said “I know I am going to suffer… And let nobody come and brag about it, after all that they are the Ohanaeze group, or the parishioners who know how to get the bishop. Because if I hear that type of story again, some people may cry and it should not be considered that the church can be politicized to the level of people deciding who to be sent out and who to bring in; and when to do it even without caring where the person will be.